Combining long-range capabilities with ample payload. The Gulfstream GIV earned a loyal following for its reliability, speed and versatility, making it one of the best-selling business jets of all time. That lineage of performance is embedded in its successor, the Gulfstream G450, a high-performance, stylish aircraft equipped to meet the demands of international travel. Cross a continent. Cruise at Mach 0.80. Fly with a team of 16 people. The G450 makes all that possible and more. 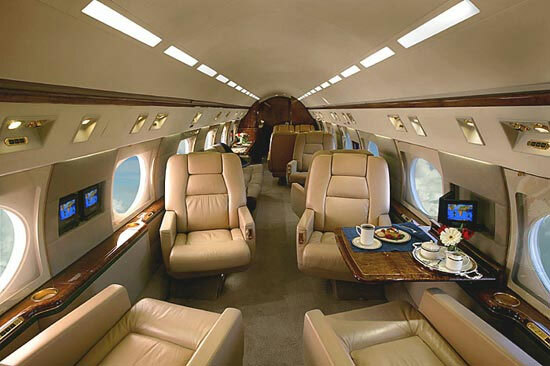 With eight passengers, the G450 flies nonstop from New York to São Paulo, Brazil, with miles to spare before reaching its maximum range of 4,350 nautical miles/8,056 kilometers. Load the G450 with 14 people, their luggage and another 2,000 pounds/907 kilograms of payload, and the large-cabin aircraft still has range for a 3,700 nm/6,852 km trip, the geographical equivalent of flying from Singapore to Dubai.